RPM is a Polish company run by Mr. Andrzej Gomela which is specialized in 1:72 scale armor and vehicles. 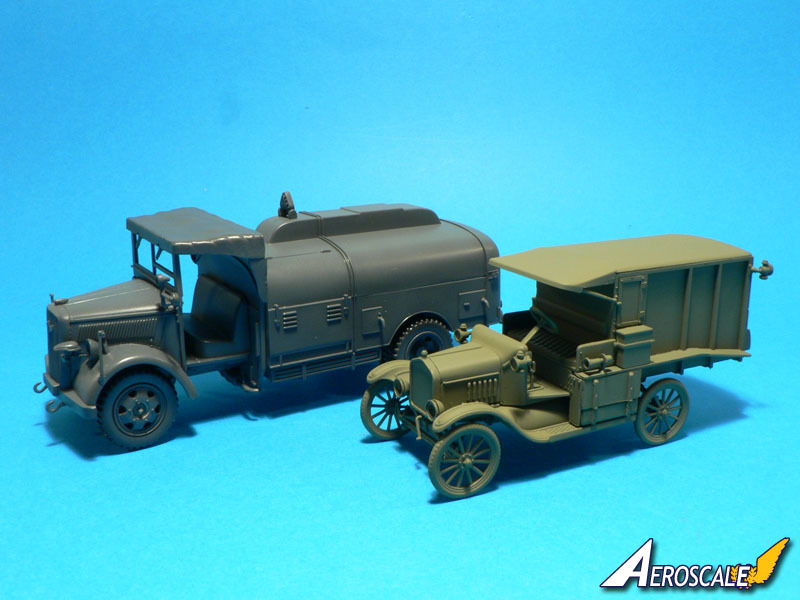 However, from time to time, they also venture in aviation and 1:35 scale but it is the first time the brand releases a 1:48 scale kit with these two boxings of a Ford T Ambulans. 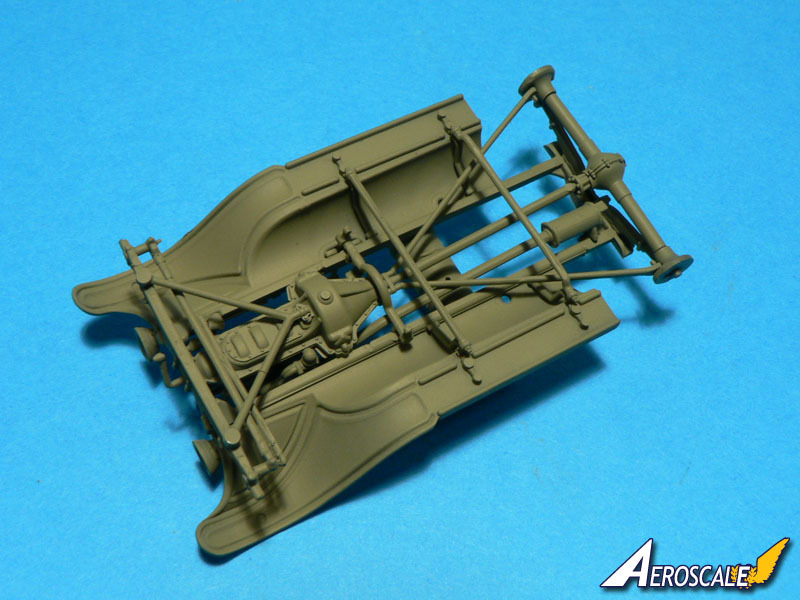 Both can make into nice accompaniment vehicles for WWI and 1920' era aviation dioramas. The Ford Model T is an automobile that was produced by Henry Ford's Ford Motor Company from 1908 through 1927. 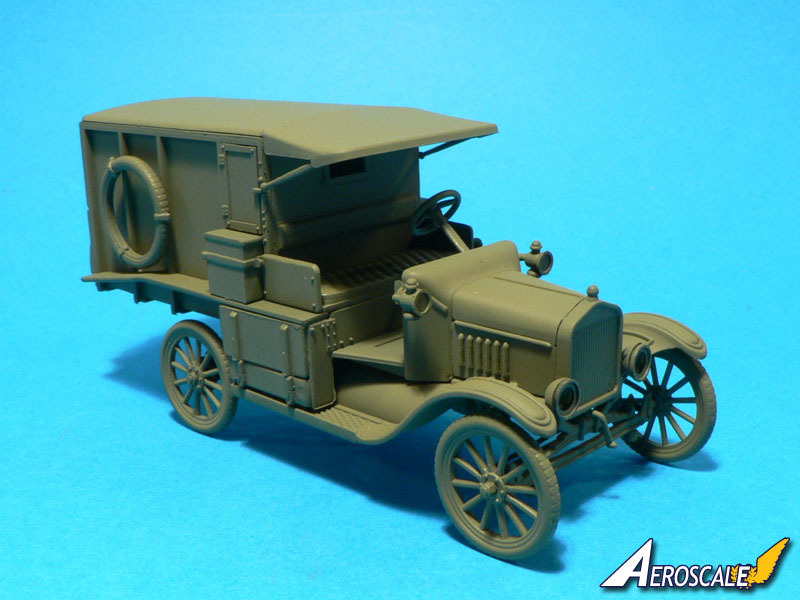 The Model T set 1908 as the historic year that the automobile became popular. It is generally regarded as the first affordable automobile, the car that opened travel to the common middle-class American, some of this was because of Ford's innovations, including assembly line production instead of individual hand crafting. The first production Model T was produced on August 12, 1908 and left the factory on September 27, 1908, at the Piquette Plant in Detroit, Michigan. On May 26, 1927, Henry Ford watched the 15 millionth Model T Ford roll off the assembly line at his factory in Highland Park, Michigan. The Model T was the first automobile mass produced on assembly lines with completely interchangeable parts, marketed to the middle class. The Ford Model T was named the world's most influential car of the 20th century in an international poll. The Ford Model T Field Ambulance 1916 with canvas on wood frame model was used extensively by the British & French as well as the American Expeditionary Force in The Great War. Top speed was 45mph from a 4 cylinder water cooled engine. Many American field service and Red Cross volunteer drivers, including writers Ernest Hemingway and Bret Harte and cartoonist Walt Disney drove Model T ambulances. Before examining the content of the two boxes, I think it is useful to say that we have received two early samples of the kits. While the packaging (cardboard box) and plastic parts are final, Mr. Gomela is still working on the instructions while you read this, so the review will be incomplete. The kits were sent to me in a big envelope so the boxes were still flat but of course it won't be the case for the final product. 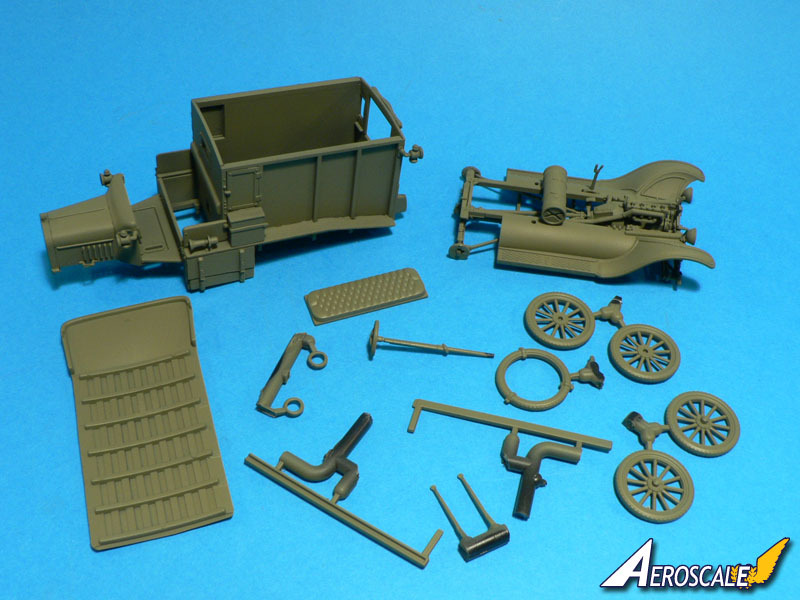 Each kit (48001 Ford T Ambulans M1917 A.E.F. 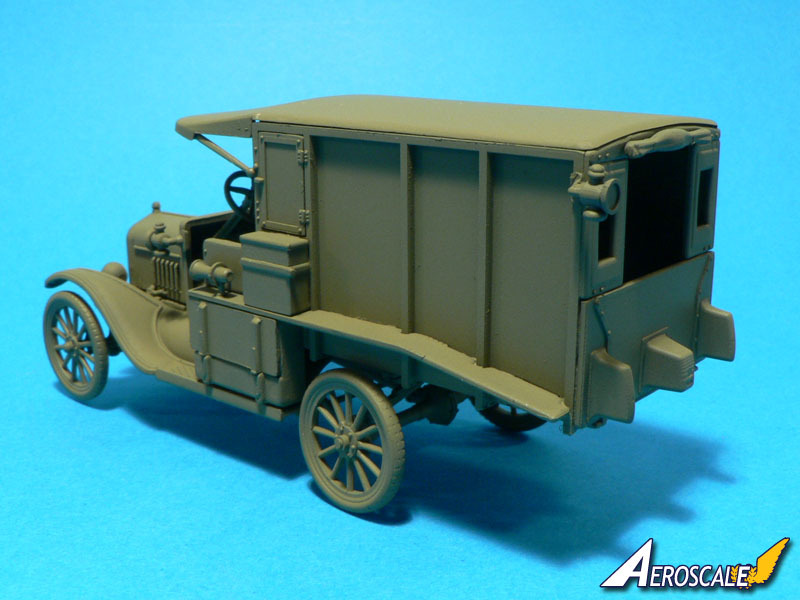 and 48002 Ford T Ambulans M1917) features the same black injected plastic sprue and only the packaging, the decals and the instructions will be different in the final boxings. The kit has been designed by Mr. Gomela himself and was produced in Poland. It is composed of 96 finely rendered parts. To me it looks as if it has been produced using modern technologies (computer design). 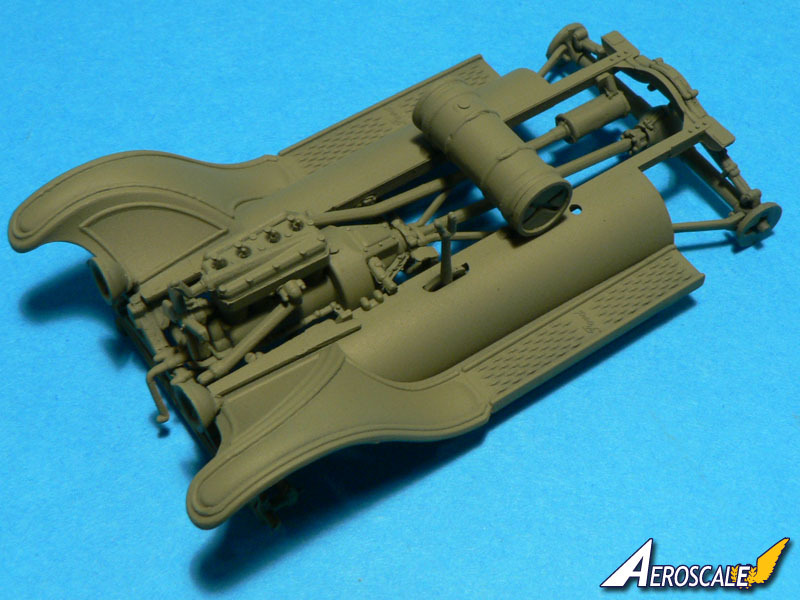 The result is excellent with some very small pieces and precise surface details. If you look closely at the accompanying picture you will notice that even the Ford logo is present on the lateral footboards. The typical "Victorian style" leather bench of the driver is also very nicely done. 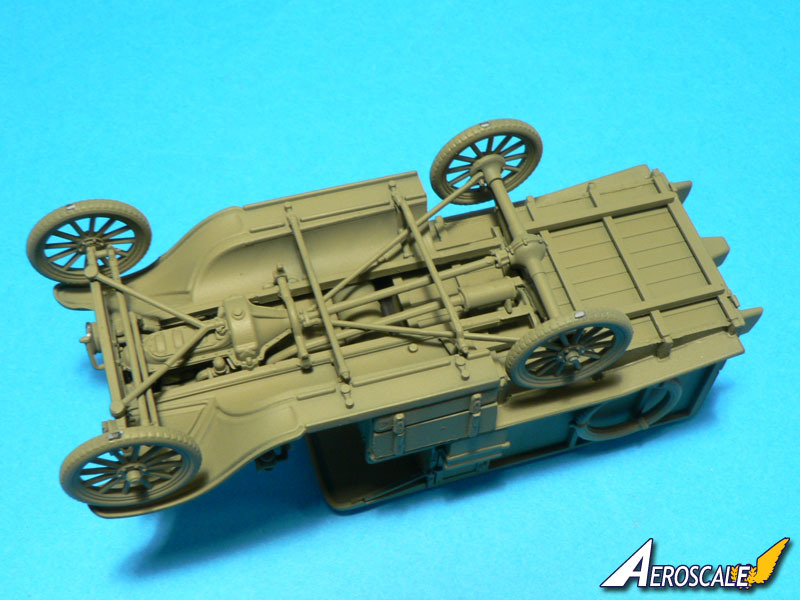 An engine is included as well as all the underside details such as the metal chassis, the spring leafs, the wheels axles, the fuel tank, the dive shaft, etc… The ambulance body is composed of separate parts depicting the wooden floor and sides as well as the canvas cover. The later has some internal wooden structure molded on it. There is no representation of the wood on the parts which are smooth. I think this is acceptable since such renderings are generally exaggerated in the smaller scales. The quality of the moulding is very good with some traces of flash here and there but nothing to worry too much about. The plastic seems very hard though, so removing the parts, especially the tiny ones, will require extreme care. 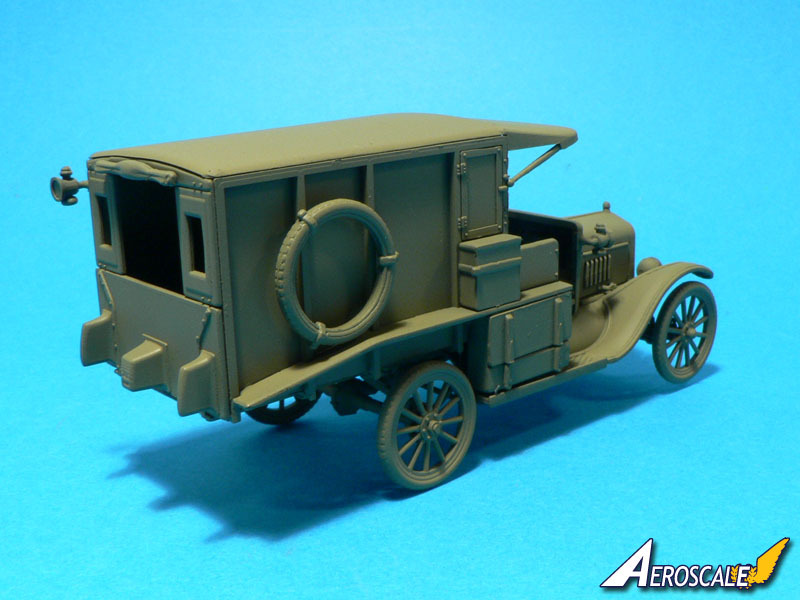 In all, this is a very detailed kit which will need little, if nothing at all, of additional work to look like a faithful replica of a Ford T model 1917 ambulance. The decals are nicely printed but the sheets feature a single carrier film which will make it mandatory to cut each decal separately. There is nothing more to add only that you will have the choice between a lot of markings! This kit came as a complete surprise to me and WWI specialists will be pleased with it as it offers plenty of diorama possibilities. The overall quality is very good and the level of detail excellent. Mr. Gomela told me that he has no further plans in 1:48 scale for the moment but I do hope that the Ford T Ambulans kits will sell well and that he will change his mind. 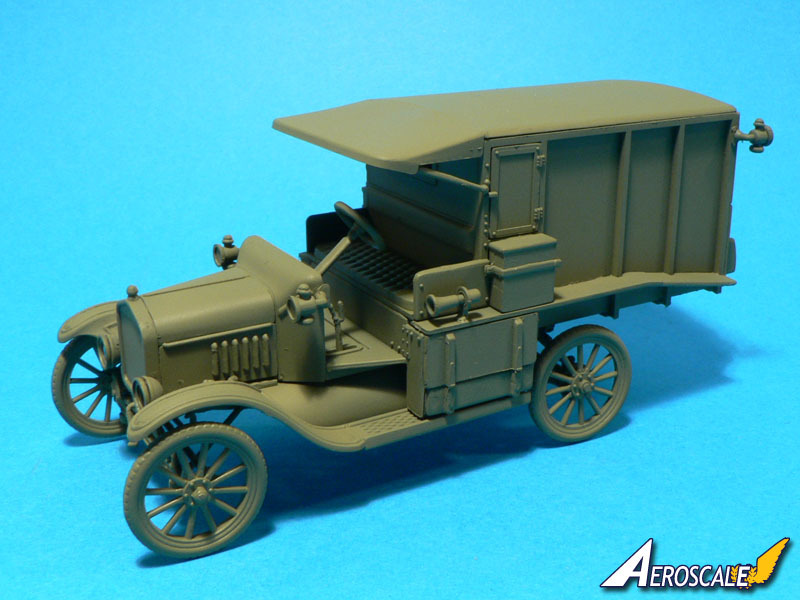 The 1:35 scale enthusiasts will be pleased to hear that RPM will also release a Ford T Ambulance in their scale in the future. Prices for the kit have not been determined yet but I have already found the kit listed in some web shops for around 15€ (20$). If this is true, RPM's 1:48 scale Ford T Ambulance kit will be a real bargain! Highs: High level of detail - excellent moulding. Verdict: Highly recommended for early 20th century aviation diorama enthusiasts. E. Hemingway was one of these employees, wasn't he? Jean-Luc, another wonderful review.